DRIVER-FOCUSED: The Jaguar I-Pace Concept car. 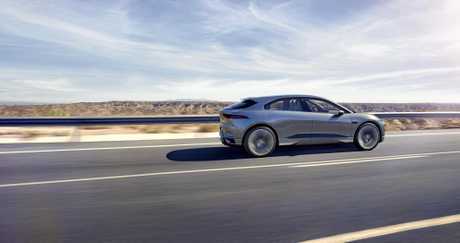 FRESH from launching its first SUV, now Jaguar has revealed its electric version. Wraps came off the Jaguar I-Pace Concept in Los Angeles this week ahead of a forecast 2018 on-road launch. 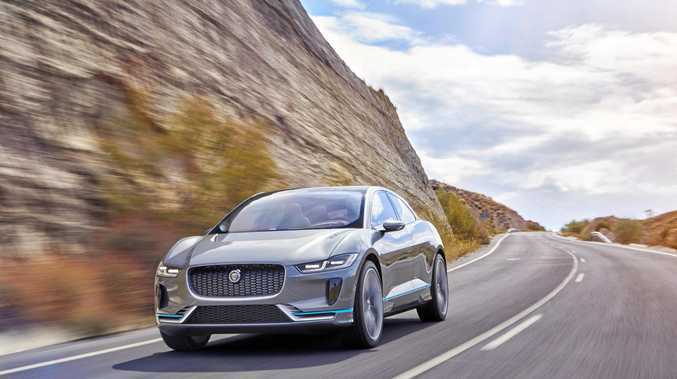 Electric motors and a 90kWh lithium-ion battery pack were designed in-house by Jaguar Land Rover and can propel the SUV from standstill to 100kmh in about four seconds. The batteries can be fully recharged overnight by a normal household plug. Higher output rapid charges can fill the batteries in just over two hours. Electric motors are positioned on the front and rear axles. Their combined output is 294kW and 700Nm of torque - the same torque rating as the F-Type SVR. Jaguar describes it as a "no-compromise smart, five-seat sports car and a performance SUV in one”.